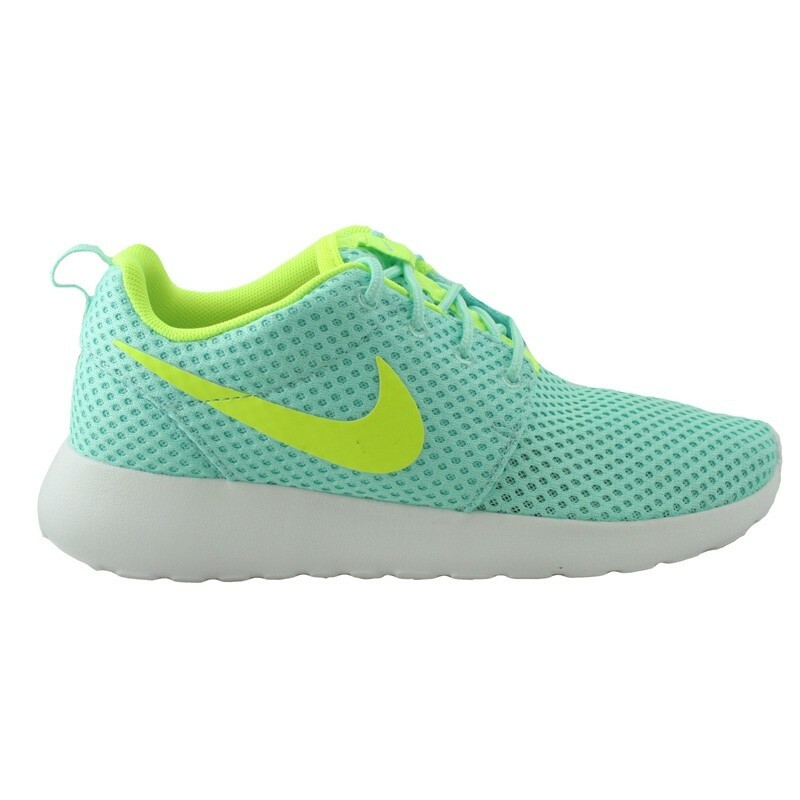 Extremely light footwear from Nike. 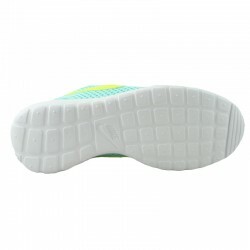 Sole made of white foam. 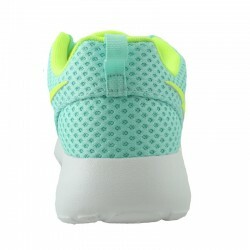 Shoes made of textile material in mint color. On the side, the producer's mark in lime color. Tied shoes, designed for everyday use and running. Great shoes for the summer.